The red cells are some of the most important components of a person’s blood. The term hematocrit refers to the percentage of red blood cells in a human’s body. For women, normal hematocrit values should be around 42% and for men, it should be around 47%. A complete blood count test will show the number of red blood cells in the blood as well as the hemoglobin values, white blood cells, and platelets. When the hematocrit is too high, meaning that there are too many red blood cells, this condition is known as polycythemia. When the hematocrit values are too low, this condition is known as anemia. Abnormal hematocrit values can put one’s life in danger if not treated promptly. Since abnormally high hematocrit values can pose serious health problems, this article will analyze the correlation between red blood cell count and various medical conditions such as obstructive sleep apnea syndrome, erythrocytosis caused by testosterone replacement therapy and why people should be careful when donating blood more than once a year. Platelets are cytoplasm fragments that quickly react when a bleeding is detected in the body. They help in the coagulation process to prevent infection and to initiate the healing process. The mean platelet volume (MPV) is a way of measuring the size of the platelets. Both these terms, RDW and MPV, will be used to examine the link between obstructive sleep apnea syndrome and high hematocrit values. OSAS is a sleep disorder which is characterized by a collapse of the upper airway while sleeping. This leads to a low quality sleep, choking sensations, and even hypoxia. A comprehensive study performed between January 2011 and June 2014 shows that RDW might be a reliable marker when it comes to the severity of OSAS. 264 patients were admitted in the sleep unit to undertake a polysomnographic evaluation and were subsequently diagnosed with OSAS. 116 of these patients met the criteria of the study and agreed to participate. These patients reported frequent unpleasant symptoms such as daytime sleepiness, severe snoring at nighttime, etc. The exclusion criteria left out patients who had various types of medical conditions that might have interfered with the results of the study. For example, patients who had known cardiovascular diseases, were smokers, had diabetes mellitus, lung disease or hypertension were not included in the study. The 116 patients who participated in the study were divided into several groups, depending on the apnea-hypopnea index (AHI) which basically indicates the severity of the sleep apnea. There were 3 groups – mild (AHI between 5 and 15), moderate (AHI between 15 and 30) and severe (AHI higher than 30). There was also a control group of 62 individuals who had an apnea-hypopnea index of less than 5. The study was performed using polysomnographic methods. Researchers have attached suprasternal microphones to assess the airflow of the patients during sleep. Blood samples were also drawn using a 21-gauge needle syringe after a fasting period of 8 hours. The apnea was defined as a stop of airflow for 10 seconds or more during sleep. Hypopnea was defined as a reduction of airflow between 30% and 50% as well as a decrease in capillary oxygen saturation. At the end of the study, researchers have reached the conclusion that patients with severe OSAS have higher RDW, a higher platelet count and MPV. In addition, the hematocrit and RDW are positively correlated with apnea-hypopnea index. This means that the complete blood count is very important for patients diagnosed with OSAS. It has been established that patients with OSAS undergo a state of systemic inflammation caused by a wide variety of factors. This state of inflammation can lead to a higher secretion of pro-inflammatory cytokines such as interleukin-6 which in turn can create erythrocyte deformability and a higher level of RDW. Other studies have shown that high RDW levels are also associated with a higher-sensitivity CRP level which is a known marker of inflammation. One of the most important reasons which make this study unique and highly accurate is the simple fact that patients who suffered from serious health conditions such as coronary artery disease, diabetes mellitus, and hypertension didn’t take part in the study. It is a well-known fact that these illnesses can lead to a higher RDW level which could have compromised the results of the study. Patients who suffer from OSAS also experience hypercoagulability which is caused by high blood viscosity. Blood viscosity is defined as the resistance of blood to exterior forces and is influenced by hematocrit, the behavior of erythrocytes and other factors. It has been established that hematocrit plays an important role in the coagulability of blood and can lead to increased blood clotting. When there is an increased blood clotting in the body, the natural flow of blood can be negatively affected and multiple cardiovascular issues can appear. Researchers believe that the hypoxemia experienced by patients with OSAS is caused by a release of inflammatory factors which negatively affect the blood and can lead to hypercoagulability. It has also been found out that the total platelet count in patients with OSAS was higher in comparison with the patients in the control group or those in the mild group. This is a real evidence of the correlation between platelet activation and cardiovascular diseases in patients suffering from OSAS. This comprehensive study has shown evidence that RDW, MPV, and platelet count are increased in patients diagnosed with OSAS. The RDW index is also positively correlated with oxygen desaturation index and AHI. Since RDW is included in a standard blood count measurement, it can become an inexpensive and simple tool to diagnose the severity of the OSAS in patients of all ages. As a result, patients who suffer from a severe OSAS can be given priority when it comes to treatment, improving their chances of recovery. Erythrocytosis is a medical condition which appears when the body is making too many red blood cells. RBCs are responsible for transporting oxygen to organs and tissues. When they are too many, the blood can become too thick and cause cardiovascular complications. There are 2 types of erythrocytosis – primary and secondary. The primary erythrocytosis is usually caused by bone marrow problems. RBCs are made in the bone marrow and something might trigger an increase in their production. Secondary erythrocytosis is caused by certain diseases or drugs, including testosterone replacement therapy. TRT is the go-to treatment for people who suffer from hypogonadism – aka androgen deficiency. This type of treatment is increasingly popular especially among people over 40 years of age. It can increase libido, help to maintain muscle mass, improve mood and general wellbeing. However, one of the side effects of TRT is the simple fact that it can cause erythrocytosis. This medical condition is represented by an increase in hemoglobin (Hb) and hematocrit (Hct). When the Hb is higher than 18.5 g/dL and the Hct is higher than 52% in men, the patient suffers from erythrocytosis. 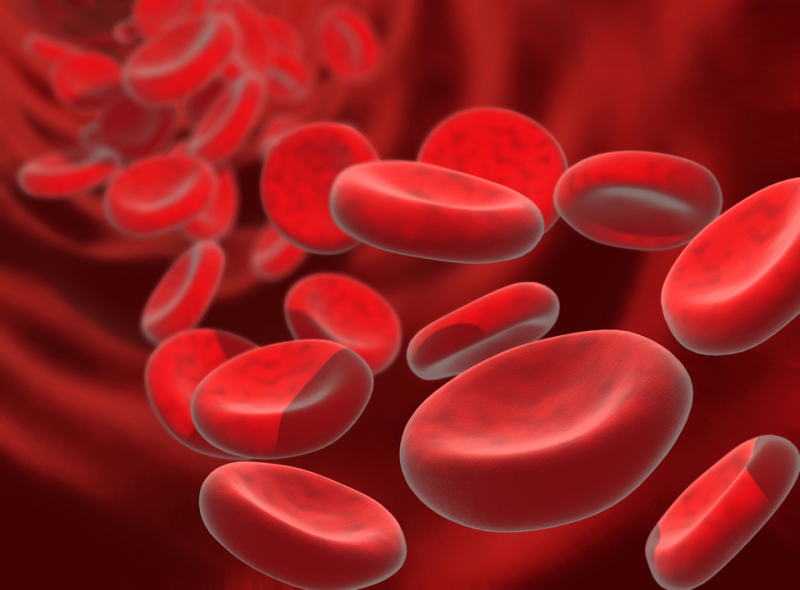 Since the RBCs count is too high in people with erythrocytosis, the blood viscosity also increases which can lead to various potentially life-threatening medical issues such as venous thromboembolism. This basically means that small blood clots separate from their original source and are transported by blood through veins and capillaries, causing blockages which lead to stroke, myocardial infarction or other complications. Testosterone replacement therapy is recommended for men who have testosterone levels lower than 300ng/ dL. It is commonly accepted that the T levels decrease by approximately 1% per year after 35 years of age. TRT has been shown to improve the mood of the patients, correct insulin resistance problems, help increase bone density and muscle mass, among other positive benefits. Getting testosterone into the body can be done in various ways. There are injections, gels, buccal patches, pellets, and others. Some formulations show results much quicker (injections, for example) and each one of them has different effects on patients, depending on the dosage, administration option, etc. When the testosterone levels increase in the body, the hemoglobin and hematocrit levels also increase. Studies have shown that people who undergo TRT have higher blood viscosity and platelet adhesiveness which can lead to thromboembolic risks. Although there are not many studies that link TRT-induced erythrocytosiswith thromboembolism, one small research performed by Krauss et al on a group of 15 men can lead to interesting conclusions. The 15 men received short-acting IM TE (testosterone injection) every 21 days and had their bloodwork and testosterone levels monitored. The researchers discovered a correlation between transient ischemic attacks and men who had a mean Hct levels higher than 48%. Although the study was performed on a small group of men, it is an important research finding because throws a spotlight on the potential side effects of TRT. Additionally, the FDA also forces companies which make testosterone products to add a warning on the label stating “a possible increased risk of heart attacks and strokes in patients taking testosterone”. Researchers have discovered that various testosterone formulations have different effects when it comes to the occurrence of erythrocytosisin patients who undergo TRT. For example, short-acting injectables such as IM TC and IM TE render an incidence of erythrocytosishigher than 40%. The other formulations have a much lower incidence and are considered safer, although the testosterone is absorbed much slower into the body. Men who are prescribed and use transdermal gels such as AndroGel 1.62% have an approximately 13% chance of developing erythrocytosis, according to some studies. These types of gels can have a dose of testosterone of 20-100 mg and can be applied on the shoulder area or directly on the skin. Similarly, crystalline pellets which are implanted under the skin have a T formulation of 75mg per pellet and can lead to a 35% chance of developing erythrocytosisin the long run. Studies define erythrocytosisas a Hct level higher than 52%. By comparison, men who take testosterone orally have a 0.003% chance of developing erythrocytosisand this is considered to be one of the safest methods for getting testosterone into the body. Although it is necessary to develop more complex studies to examine the molecular mechanisms when it comes to erythrocytosisinduced by TRT, researchers have discovered that there might be a direct correlation between high hemoglobin and hematocrit levels when patients get testosterone replacement therapy. Furthermore, some studies show that there is also a higher risk for patients who benefit from TRT to develop CV complications as a result of increased blood viscosity. It's important to also develop other treatment options for hypogonadal men such as aromatase inhibitors, human chorionic gonadotropin, and others. Lastly, when TRT is absolutely necessary, patients might take into consideration safer T products such as undecanoates which can be taken orally or transdermal gels. It is estimated that approximately 70% of the blood supply in the United States comes from repeat donors. Although donating blood is a commendable act, people should be careful when donating several times a year because they can develop iron deficiency. A plethora of men decides to donate blood to also decrease hematocrit levels. The group of 235 men was separated into 3 categories – control group with no donations, group 2 with 2 donations per year and group 3 with 3 donations per year. The age of the donors was between 17 and 65 years and their hemoglobin values were higher than 12.5 g/dl. Donors who took iron supplements before were excluded from this study to avoid interfering with the results. The researchers looked at a couple of important values such as hemoglobin and ferritin levels. Ferritin is a type of intracellular protein responsible with transporting and releasing iron throughout the body. Iron deficiency was defined as serum hemoglobin levels below 13 g/dl and serum ferritin levels below 15 μg/l. No participant in the study has donated blood in the previous 8 weeks. Researchers have found out that the patients in the case groups (2 and 3) had a decreased level of hemoglobin and ferritin in comparison with the patients in the control group. More specifically, men in the group 3 had ferritin mean levels of 26 and a hemoglobin level of 13.8, those in group 2 had ferritin mean levels of 56 and hemoglobin levels of 15.4 while the control group had ferritin mean levels of 108 and hemoglobin levels of 15.9. The study presented evidence that donating blood more than once or twice per year can significantly deplete iron stores and can lead to anemia. Moreover, the medical industry relies on donations of a healthy supply of blood rich in iron, so certain donors (especially those who donate frequently) might not be eligible for repeat donations. Likewise, measuring the hemoglobin level only might not be a reliable indicator if a person is suitable for blood donation or not. The ferritin levels should also be taken into account to prevent anemia in various donors. Supplementing with iron is a solution? This is a good question, but the answer might not be that simple. It is a well-known fact that supplementing with iron should be done carefully since too much iron in the bloodstream can cause damage to organs and tissues. Additionally, those patients who have family members with cancer might not be eligible for iron supplementation. Speaking with a doctor before taking iron supplements is the best thing to do.